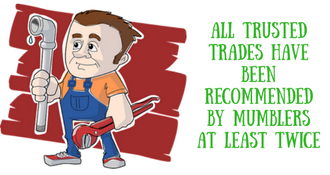 Trusted trades are a compilation of trades people based in and around Scarborough & Whitby who are genuinely recommended by Mumblers. If you do use one of the trades people listed here make sure you tell them about Scarborough & Whitby Mumbler! Mumbler recommended CB ’18 – Nick did a fantastic job, good to deal with and quick to come.